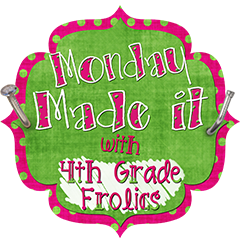 I am linking up with Tara again over at 4th Grade Frolics. I have really enjoyed these Monday Made It's and have so much inspiration from them! 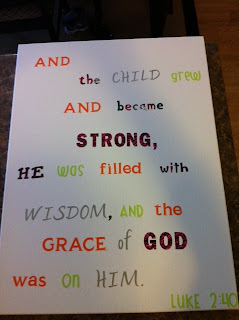 This week I wanted to use scrapbook paper and Mod Podge to make these famous clipboards! My clipboards were that ugly ole' brown with kids names and a even a gun (yikes!) drawn on one. Now, they look MUCH better! I didn't put any ribbon on them because these are for student use only and I could just see them unraveling all my ribbon! First up: girly clipboards. And then some clipboards for the boys! We also finished one of my favorite home projects ever! 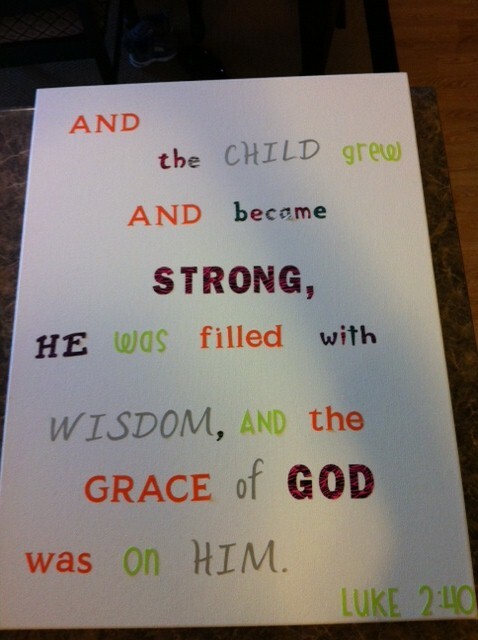 I got the idea from Shannon at Bless Our Nest. I put stickers on a canvas and then let my son paint over them. I tried to just let him paint and not direct so it would totally be HIS art! After the paint had time to dry, I pulled off the stickers and TADA! It has many imperfections, but I am still loving it! Ok Lana, your sons painting just made me cry!!! Seriously! So precious!!! Love that idea!!! What a treasure!!! It just took my breath away! The clipboards....amazing!! I love that you made girl, boy, and gender neutral..lol!!!! I only have a few but lookin like I may been to be making some more!!! Thanks for linking up friend! I LOVE the painting! Gorgeous! & the clipboards are cute, too! Wow! You made a lot of clipboards. I bet the kids will love them. The painting is absolutely precious!!! The painting is so inspirational! It came out wonderful!! I love all of your clipboards. I like how you made some for each gender & added the gender neutral ones. Everything looks great!! Great job on your clipboards. your sons painting is sooo sweet. I absolutely love it. I love your son's painting. Very very adorable. I love your son's painting! I love your clipboards and the painting your son made. Super cute stuff! I also am in the process of covering up my old clipboards for my students! I love your son's painting and crafty wall hanging! This might be my next project for me!! Beautiful wall chart! I'm working on making ONE clipboard. It's a little harder than I thought! I've given you the Liebster Blog award! Please stop by my blog for your award and information! I'm loving all of the decorative clipboards I've been seeing! I have a couple at home and plan to spruce them up with ddecorative duck tape! Yours look great! Love the clipboards and ADORE that painting!! What a treasure!! Beautiful! 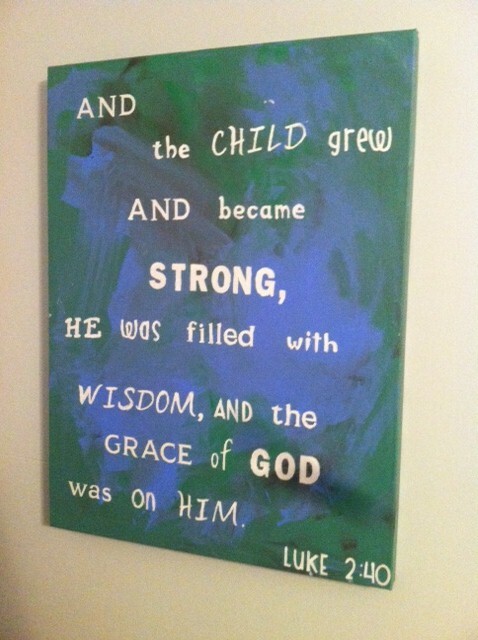 That painting is adorable, and would look well on any wall - you and your son did a great job! That painting is so precious. I think I'll have to do that with my little C . She is turning 2 in 5 days!!! Precious!! I have given your blog some awards. Please stop by my blog to pick them up. How sweet! The painting was heart warming. Love the clipboards. Thanks for sharing. I love the painting and the variety in your clipboards. I just HAD to tell you that the painting is PRECIOUS. It came out beautifully. I feel like when kids do artwork it may not be as perfect as we know we could make it, but that's what makes it so amazing and genuine :) What a great poster to have for years and years. Your clipboards are cute! I especially LOVE your son's artwork! What a great idea!! I bet he is very proud. Love your clipboards but I have to say I really LOVE your babies artwork...adorable I would love to do something like this with Kendall! thanks for sharing! I love the painting! What a precious treasure!!! I might have to do that with my own son when he gets a little older! Your clipboards are too cute! I need to find sometime to make some of these. Summer is going too fast.